This something of an oddity as I photographed this lovely Shih Tzu at a show but it had the less-common colouring of a honey-coloured body and a black muzzle. 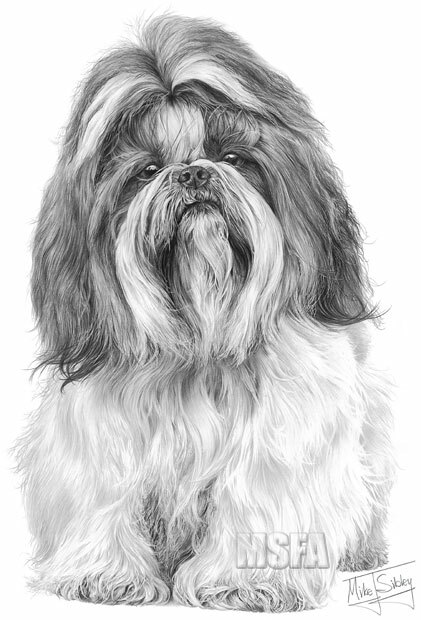 As explained in my book "Drawing from Line to Life" I took a second photograph of a typical black and white Shih Tzu and transposed the colours. The drawing took approximately 82 hours to complete.